The small, industrial town of Pinerolo, Italy, just outside of Turin, has represented a stronghold for 3D Systems’ activities in Italy since the company acquired, Provel, a large local 3D printing service provider active since the mid-1990s. The facility continued to provide high-level professional AM services, based mainly on large industrial SLA and SLS systems. Now it is scaling up even further as 3D Systems On Demand built it into one of its largest global Advanced Additive Manufacturing Centers, with rows of industrial AM systems working on part production for clients all over the world. Over the past fifteen months, the company undertook a multimillion-dollar expansion to more than double the manufacturing capacity and increasing breadth of capabilities to meet increasing customer demand. This strategy fits within 3D Systems On Demand’s plant to be an industry leader in rapid prototyping, low-volume parts production and appearance models. Once an almost exclusive supplier of FIAT (today FCA), the 3D Systems’ Pinerolo plant can now use its unique two-decade-long expertise to cater to needs of almost every major automobile manufacturers around the world, including BMW, PSA and many more. Its customers represent a broad range of industries including automotive, consumer products and aerospace who rely on the additive and subtractive manufacturing expertise of its engineers to bring their designs to reality. In order to provide these capabilities to a larger segment of the market, 3D Systems purchased an adjacent building to its current ISO-9001 certified production facility to create a new advanced additive manufacturing campus. The new state-of-the-art facility adds to the company’s existing 3D Systems On Demand network within Europe that includes locations in The Netherlands, France, the United Kingdom, Belgium and Germany. 3D Systems On Demand’s facility in Pinerolo, Italy is part of a global network of industry-leading facilities supported by nearly four decades of experience in 3D printing and advanced manufacturing solutions. These facilities deliver a full portfolio of conventional and additive manufacturing services that empower designers and engineers with the tools to design, iterate, and produce quality parts. The result is reduced time spent on production and product development with high-quality 3D printed, and injection molded parts. With the addition of the Advanced Additive Manufacturing Center, the Pinerolo facility is now home to a broad range of additive and subtractive manufacturing technologies including a suite of over 30 plastic 3D printers in a range of technologies, including SLS, SLA and digital light printing (DLP) represented by the company’s patented Figure 4 technology. These additive solutions are complemented by traditional manufacturing technologies like machines for vacuum casting, 5-axis CNC processing, injection molding and spark/wire EDM. 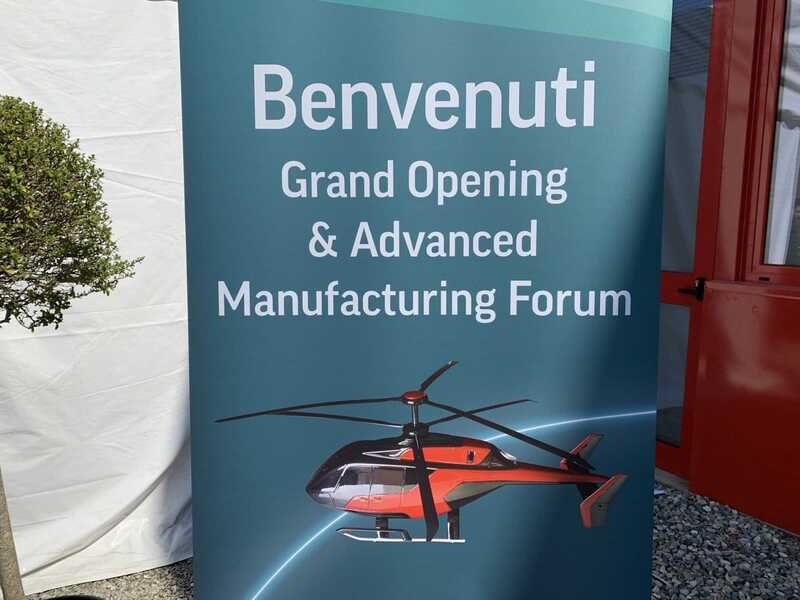 “The breadth of our technologies render our facility in Italy, an end-to-end solution for prototyping and low-volume manufacturing of industrial parts and products, including post-processing like surface treatment and painting,” said Maio. 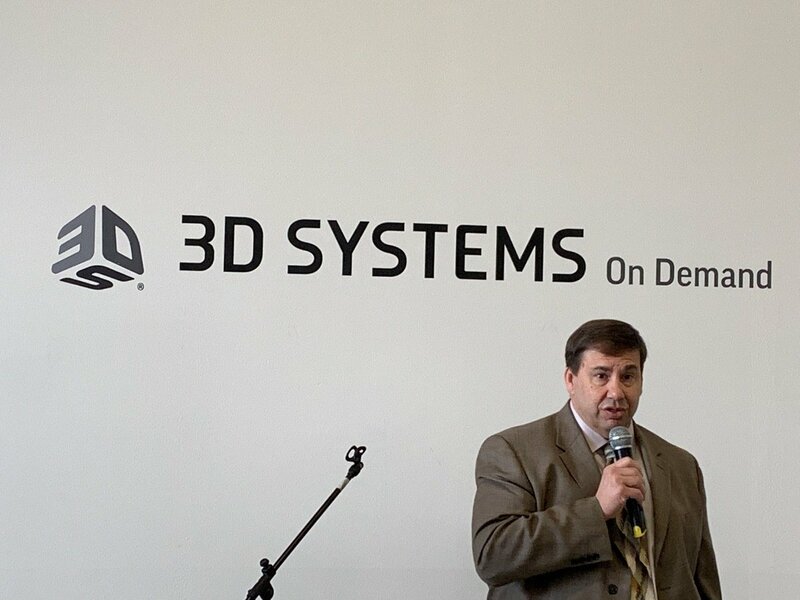 “We are excited that our new Advanced Additive Manufacturing Centre of Excellence here in Pinerolo, Italy will enable us to offer our customers the fastest production available to meet their challenges, and support competitive advantage.” Phil Schultz, EVO of Operations, 3D Systems.